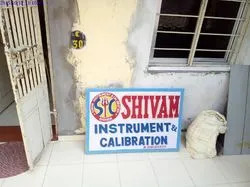 Established in the year 2015, Shivam Instrument & Calibration has attained laurels in the market for trading and supplying an advanced range of Temperature and Pressure Control Accessories. Our range of products include Pressure Gauges, Temperature Gauges and Temperature Elements, among a host of others. We are working with trustworthy manufacturers and vendors, who utilise only premium quality raw materials. Having adhered to industry guidelines, our products are appreciated for their user-friendly attributes, easy-to-read display, durable construction and accurate measurement. Besides hiring the best quality experts to supervise our processes, we also provide maintenance and post-sales support to our clients. These are the reasons why our products are utilised by India’s top companies for their various day-to-day industrial operations. Besides undertaking Calibration and Repairing Jobs, the top brand we deal in is ITEC Measures PVt. Ltd.
We have empowered our organisation with the best mechanics, warehousing professionals and technicians – who work closely with trusted vendors and manufacturers. This workforce engages with reputed manufacturers, while under the supervision of in-house quality experts. Our manufacturers are utilising latest tools and technology to fabricate the products. This is why we have attained a vast clientele since our foray into the industry. We have succeeded in this competitive marketplace thanks to the guidance of our mentor, Mr Mehul Patel. Following his lead, our organisation has attained a national presence, while maintaining a spotless track record of timely delivery and for superior quality products. Manufacturing AND Trading of Steel Bars, Angles and Channels. 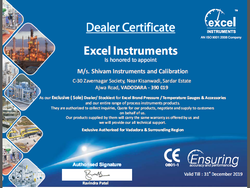 With the strong support of our ingenious professional, our company has made a mark in the field of trading and supplying high quality products like Pressure Gauge, Temperature Gauge, Temperature Elements, Diaphragm Seals, Pressure Accessories to our precious clients. The hard work of our team members is directly reflected in the satisfaction of our esteemed clients. In-depth domain expertise and rich industry experience of our team members has also enabled us to meet the variegated requirements of the clients in the most efficient manner. Our professionals are responsible for carrying out our manufacturing tasks and they stringently keep a close eye on the entire procedure. Divisions have been made at initial level and this has helped our professionals to have coordination between them. Having delivered a quality consignment of products, we have emerged as the leading choice of clients. Besides their impeccable quality, our products are renowned for their portability, user-friendly attributes, easy-to-read display, durable construction and accurate measurement. Also, our vendors utilise only premium quality raw materials. With our registered office located in the heart of Vadodara, Gujarat, we have amassed a vast clientele in a very short period of time. But credit must go to our vendors, who have helped us meet client expectation by dealing a technologically advanced range of products. These vendors are selected by our experienced procurement agents on the basis of their market standing, industry experience, financial solidity and client’s response. We are driven by our group of technically sound professionals, who are well versed with changing market trends and processes. Our trained personnel also ensure that clients receive end-to-end post-sales support and never have a reason to complain.